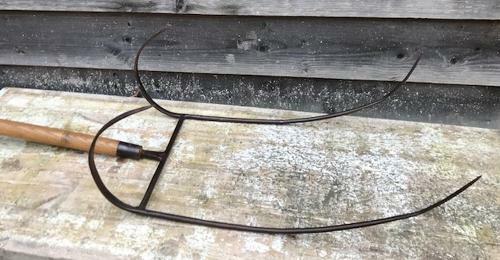 Excellent 19th Cent East Anglian Barley Sheaf Fork with large sweeping curved tines to hold the trusses. Barley was a taller crop back then requiring special larger forks to carry the crop. Specific farm tools such as this are now very hard to find.